Drain Ratz install and repair solar geysers servicing Pretoria, Centurion, Midrand, Sandton. 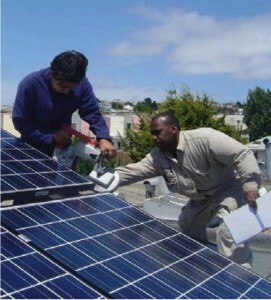 Our specialist are all well trained solar experts and will be more than willing to assist you. One cannot speak about solar water heating systems/geysers without giving credit to the source of solar – the sun! The energy from about 20 (twenty) days of sunshine is equivalent to all the energy stored in the Earth’s reserves of natural resources like, coal, oil and natural gas. The solar radiation of South Africa ranges from about: 1 450kWh/m2 per year. This alone should encourage the entire Gauteng, as well as South Africa to use solar heating systems (consisting of solar collection tubes and solar system controllers). The environment is full of heat energy. 51 % of incoming heat energy gets absorbed by the earth’s surface, whilst 19% is absorbed by the atmosphere. This is inexhaustible solar energy stored in the groundwater and atmosphere and is freely available for us to tap into and use in various heating systems like water heating systems/geysers. A recent study shows that about 45% -50% has switched over to solar using water heating systems/geysers. Solar power is a term used to describe a method of harnessing the sun’s energy. There are 2 types of solar power. Solar Electric Power: Uses photo voltaic cells to convert solar radiation into electricity. The semi conducting material in the photo voltaic cells is usually silicon. When light shines on the cells it creates an electric field across the layers. This generates electricity. The light acts as a light switch. The greater the light intensity, the greater the electric current. Solar Thermal Energy: Water and air plays an important part here. Water heating systems is an example of solar thermal energy.Solar thermal energy is a easy and simple process. Energy is harnessed from the sun and water is fed into solar panels, gets heated and then stored in a tank ready for use. Drain Ratz Plumbing Division recommends this natural way of saving energy by harnessing the essence of the sun. Go Solar! South Africa has the highest levels of solar radiation in the world!